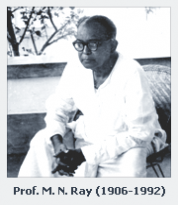 NTPL was founded in the year 1975 by Prof. Manindra Nath Ray, better known as Prof. M. N. Ray, eminent Applied Physicist, after he retired from the Department of Applied Physics, Calcutta University. He started his entrepreneurship in manufacturing special type of Transformers and Equipments mainly for Research & Academic Institutions, the very first production being in the year 1976. From 1976 to 1980 NTPL has manufactured special types of Transformers to cater various categories of Industries, Power Sectors, Project Works, Educational Institutes and Laboratories etc. During this period NTPL also introduced some test equipment. Oil test set is one of those, cast resin high voltage transformer is also introduced for oil test set. During 80’s NTPL introduced numerous Test & Measuring Equipment covering almost every field of Electrical Power Engineering and grabbed ‘in house’ indigenous technology. 1990 onwards NTPL extended its own infrastructure and keeping in mind the changing scenario of world market as well as power engineering, NTPL introduced few diagnostic test equipment and more advanced equipment with incorporation of Microcontroller-based and Computer-based Technology. With 35 years of our existence, we have become the market leaders in India for manufacturing and development of Electrical and High Voltage Test & Measuring Equipment. As a single source supplier we unify powerful resources from design, development, engineering, marketing and support – from high-voltage, high-current design over electronics to embedded systems and software in one company. At every level of the organization our aim is to deliver a product that our customers and we can be proud of. We are not satisfied with setting mere standards but we believe in continual improvement. Being a specialist in the field of manufacturing Electrical Test & Measuring Equipment, we are dedicated to optimize the systems as per our customers needs. To keep up this impetus an obvious prerequisite is thorough knowledge and awareness of all specific applications and feedback from users. With all these ideas we can transform simple discussions into a meaningful and successful Product for our Clients. Our vision serves as the framework for our Roadmap leading to our Mission and guides every aspect of our business by describing what we need to accomplish in order to continue achieving sustainable, quality growth. Be a great place to work where people are inspired to be the best they can be maintaining speed, simplicity and self-confidence. Bring to the world a portfolio of quality Electrical and High Voltage Test & Measuring Equipment brand that anticipate and satisfy industry’s desires and needs. Our quality performance is the result of this awareness that is imbibed in the positive team spirit among our employees. At NTPL we have a motivated team working to develop and produce innovative products that best serve our customers needs today and in the future. The Products manufacture by NTPL are well accepted in India, Pakistan, Bangladesh, Nepal, Bhutan, Myanmar, Malaysia, Indonesia, U.A.E., Turkey, Kenya, Peru, Romania, Australia, Yemen, Korea.